Taxi, cab, black cab, yellow cab, gypsy cab, hack – how many different words are there for that vehicle for hire? We decided to find out. On this day in 1897, London became the first city to host licensed taxicabs. But vehicles for hire were around long before that. Livery cab is chiefly a U.S. expression, says the OED, attested to 1896. However, the word livery is much older, originating in the 14th century, according to the Online Etymology Dictionary, as “an allowance of food or other provisions statedly given out; a ration, as to a family, to servants, to horses, etc.,” and coming from the Old French livrer, “to dispense, deliver, hand over.” Livery car came later, in 1906, at the time that motorized taxicabs were introduced in New York. 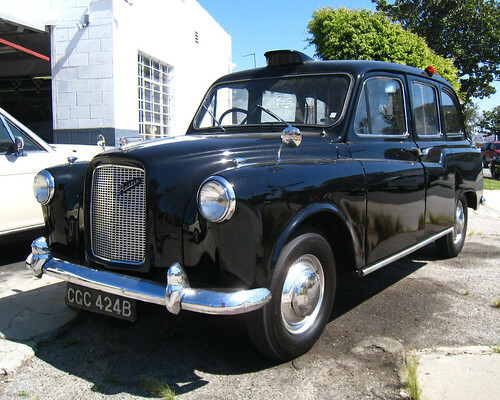 Black cab, how the taxicab is commonly referred to in British English, is first attested to 1914, says the OED, but didn’t seem to gain popularity until the 1970s. Gypsy cab, “a taxicab that is licensed only to respond to calls but often cruises the streets for passengers,” attests to 1964. 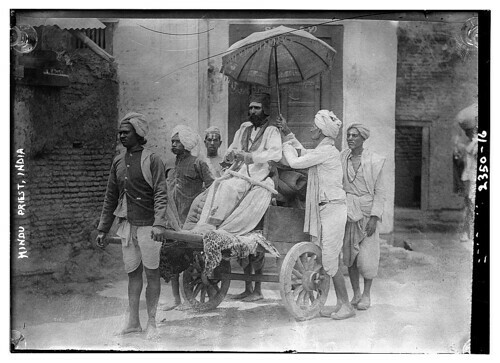 Rickshaw, a sort of human-powered taxi, dates to 1887 and is an alteration of jinrikisha, which comes from the Japanese jin, “a man,” plus riki, “power,” plus sha, “carriage.” The word was popularized by Rudyard Kipling. For even more on the history of the taxicab, check out this timeline from PBS, this photo series of New York City taxis, and this roundup of taxi related links from around the web. This entry was posted in language, slang and tagged cab, hackney, rickshaw, taxi, taxicab. Bookmark the permalink. According to the story I heard, we owe taxi indirectly to the Academie Francaise. The owners of cabriolets taxe a metre (pay according to the meter) applied to the AF to use the word taxametre officially. However, they decided on the classicizing spelling taximetre, which has since spread to all languages in the form taxi. “Jitney” cab is word I heard growing up in a US midwest industrial city. It means illegal or unlicensed taxi, and is probably derived from Gypsy cab. It was often the only kind of cab available in African-American neighborhoods, where legal cabs often refused to go.